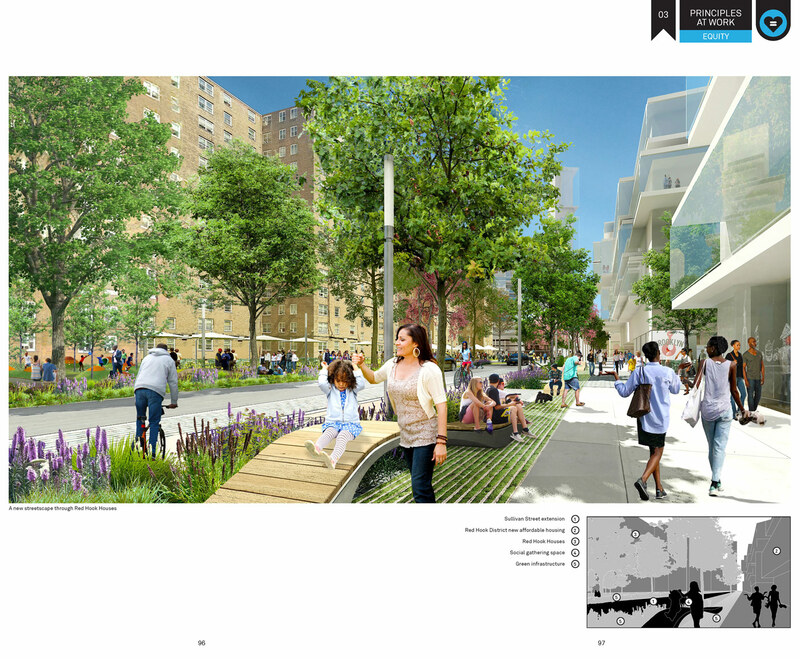 …proceeds from the sale or long-term lease of the land to developers, as well as other funds generated from revenue streams such as real estate taxes, would go toward upgrading the neighborhood’s infrastructure, which includes extending the No. 1 train from lower Manhattan via a new tunnel under the harbor to the Brooklyn area. 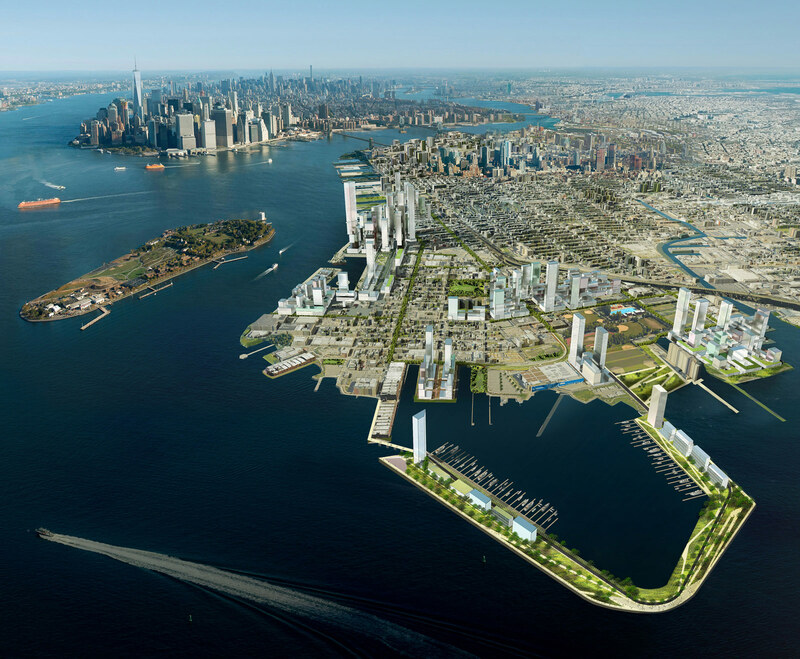 AECOM’s plan also involves creating three new subway stations, one at Atlantic Basin next to the container terminal, another at the Red Hook Houses, one of Brooklyn’s largest public-housing complexes, and a No. 1 train station that would connect to the F and G subway lines at Fourth Avenue. But a press conference on September 12 at the Rudin Center for Transportation flatly contradicted that. Chris Ward, AECOM senior vice president and leader of the team that created the proposal, claimed at the start of his presentation “This is not a plan.” (Ward is also the former Executive Director of the Port Authority of New York and New Jersey). Michelle de la Uz, executive director of the Fifth Avenue Committee, Jill Eisenhard, executive director of the Red Hook Initiative, who were in the audience, claimed they were prepared to respond to Red Hook and Sunset community requests for something to be done about housing, jobs, etc. in the community.It is then a sort of ‘vision’ proposal that asks the community and other interested parties to weigh in on the idea. It may be that the word ‘plan’ has become a dirty word associated with top-down city proposals that end up benefiting everyone one but those who live in the affected communities. The proposal offers several scenarios that go from one that would bring 45 million square feet to the market to more modest schemes. 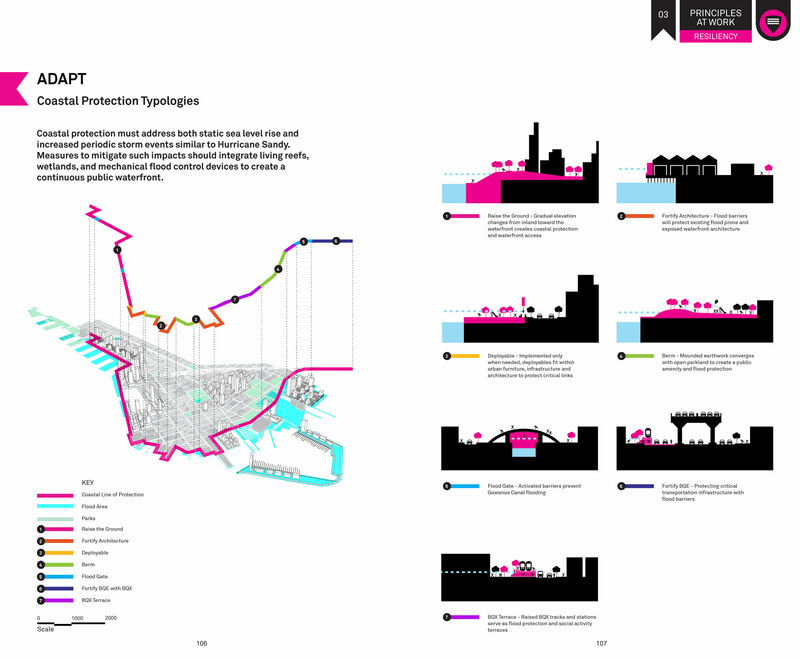 If you want to see the non-plan and weigh in, visit AECOM’s website for the project.